Chelsea Cain’s novels featuring Portland detective Archie Sheridan and serial killer Gretchen Lowell have captivated fans through two nail-biting entries, Heartsick and Sweetheart, both of them multiweek bestsellers in The New York Times, USA Today, and Publishers Weekly. Gretchen Lowell is still on the loose. These days, she’s more of a cause célèbre than a feared killer, thanks to sensationalist news coverage that has made her a star. Her face graces magazine covers weekly and there have been sightings of her around the world. Most shocking of all, Portland Herald reporter Susan Ward has uncovered a bizarre kind of fan club, which celebrates the number of days she’s been free. Archie Sheridan hunted her for a decade, and after his last ploy to catch her went spectacularly wrong, remains hospitalized months later. When they last spoke, they entered a détente of sorts---Archie agreed not to kill himself if she agreed not to kill anyone else. But when a new body is found accompanied by Gretchen’s trademark heart, all bets are off and Archie is forced back into action. Has the Beauty Killer returned to her gruesome ways, or has the cult surrounding her created a whole new evil? 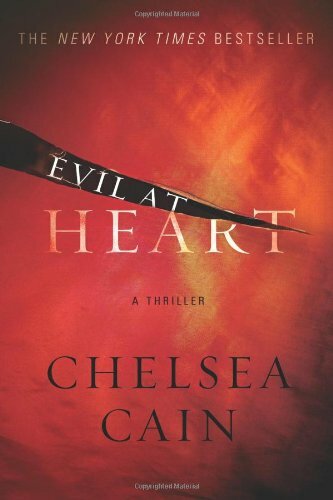 Chelsea Cain continues to deliver heart-stopping thrills and chills in the latest entry in this dynamic bestselling series. Chelsea Cain is the New York Times bestselling author of The Night Season, Sweetheart and Heartsick. Both Heartsick and Sweetheart were listed in Stephen King’s Top Ten Books of the Year in Entertainment Weekly. Chelsea lived the first few years of her life on an Iowa commune, then grew up in Bellingham, WA, where the infamous Green River killer was “the boogieman” of her youth. The true story of the Green River killer’s capture was the inspiration for the story of Gretchen and Archie. Cain lives in Portland with her husband and daughter.